Herring Gull ‘AAC’ on beach. Over 60 birds were marked with coloured leg- and wing-bands during the first year of the study. Each bird has a unique 3-letter code, such as “AAZ”. 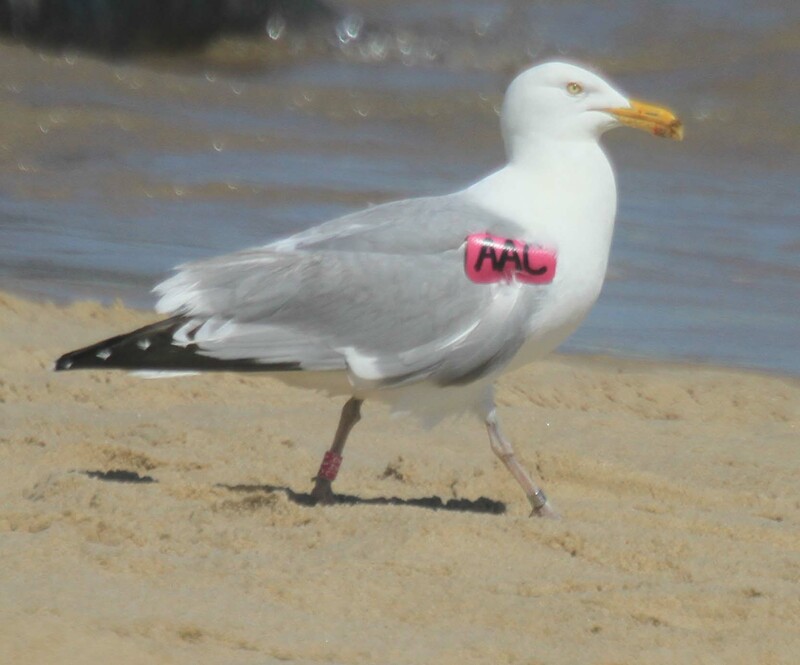 Herring Gulls were marked with PINK wing- and leg-bands and Great Black-backed Gull chicks were marked with BRIGHT GREEN leg-bands. 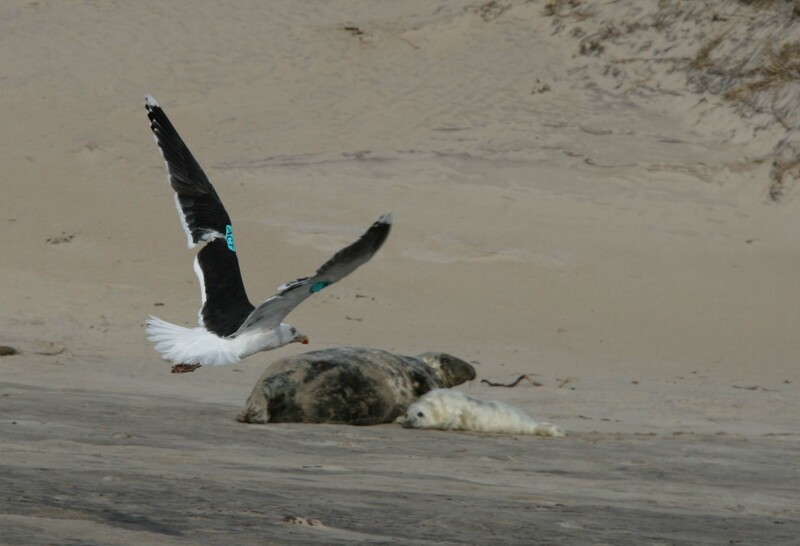 In the winter (Dec/Jan 201-2012) TURQUOISE wing-tags (or blue wing-tags) were deployed on Great Black-backed Gulls of various ages . Report your sightings of marked birds to rronconi@yahoo.com Photos are welcome! 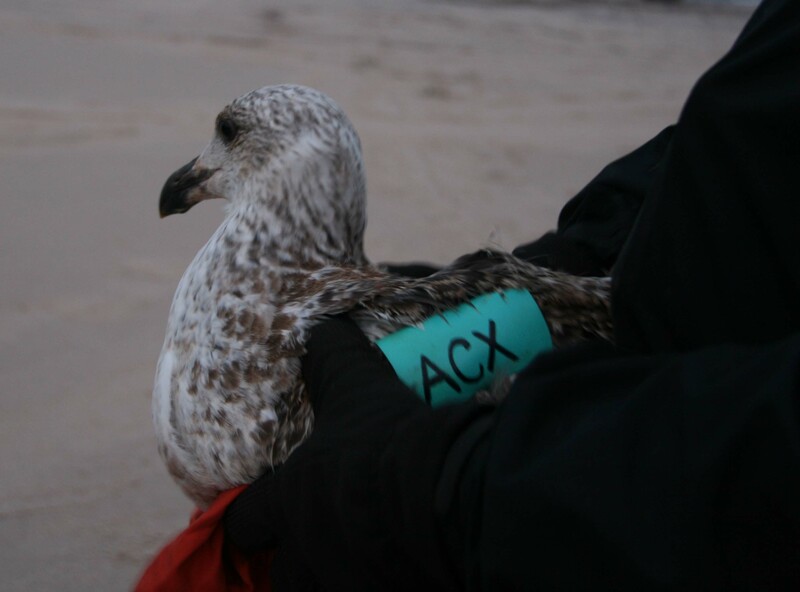 Great Black-Backed Gull ACX. Tagged January 2012. Age: first winter. 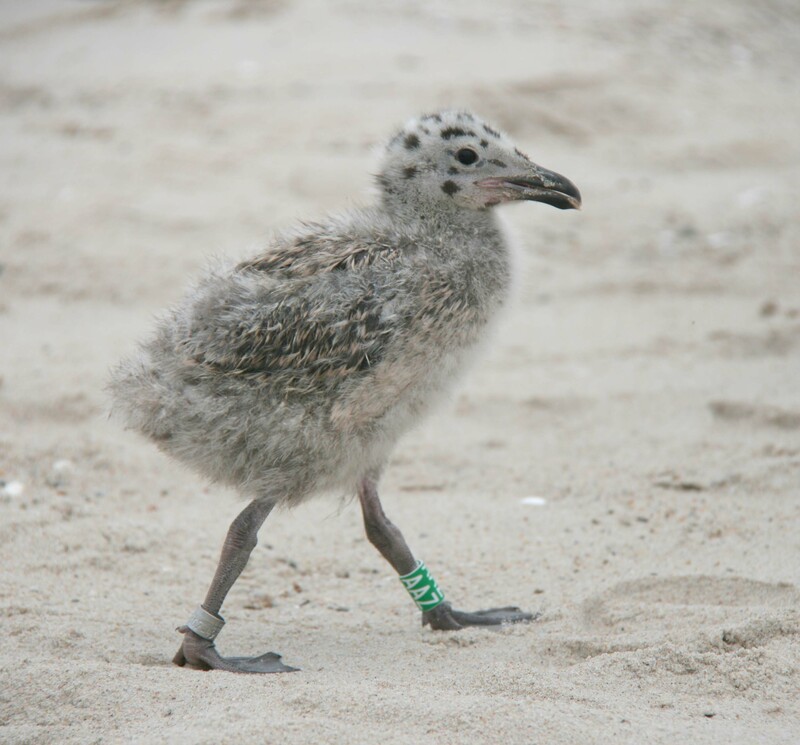 Great Black-backed Gull chick with green leg band ‘AAZ’. Click on the photo twice to enlarge and zoom in to read the band. 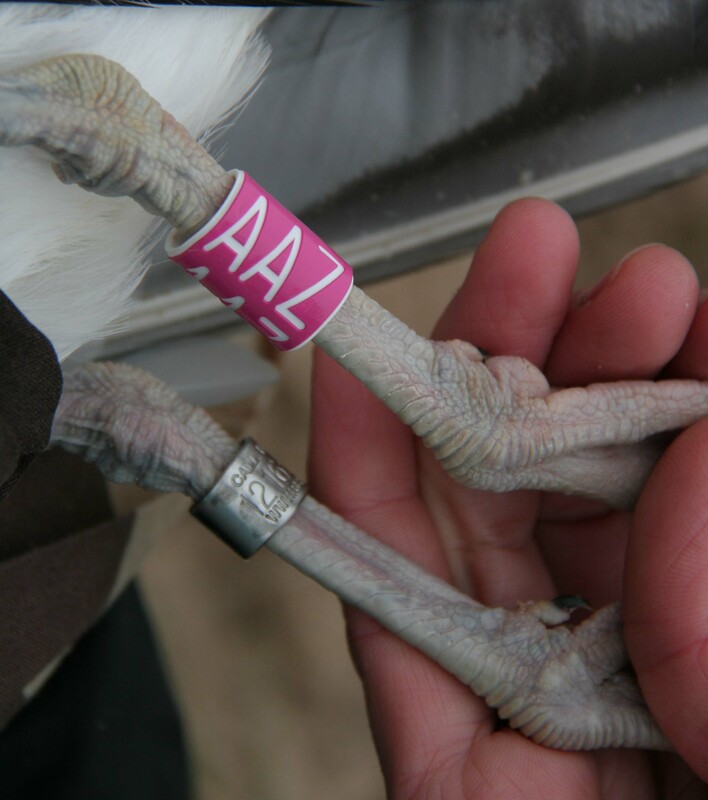 I will be color banding Herring gulls with plastic leg bands from Protouch from Canada next year. Have you had any problems with bands breaking while you opening them?